1 Preheat oven to 450º F.
2 Season fish with salt and pepper, inside and out. 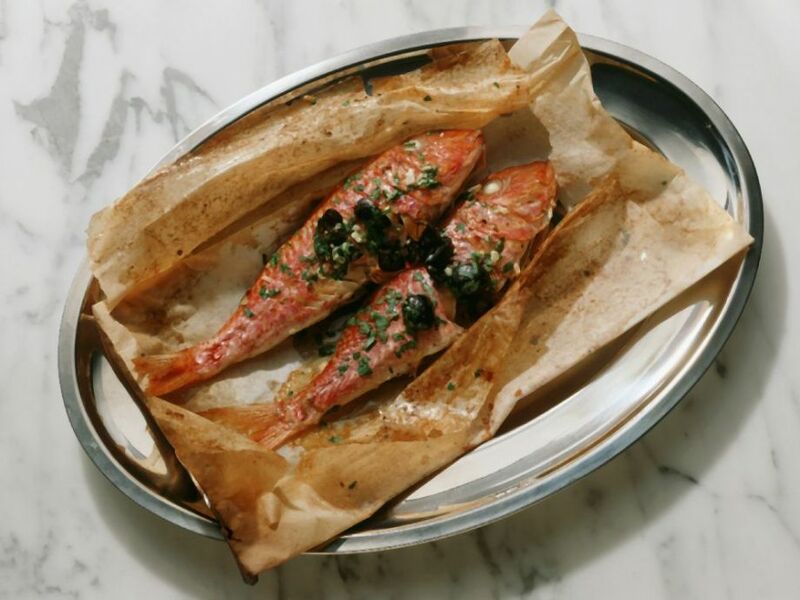 Arrange two fish in the center of a piece of parchment paper. Mash garlic and parsley together and spread over the top of each fish. Drizzle with olive oil. Fold up each packet of parchment and seal the edges. Repeat until all the fish are wrapped. 3 Bake in the oven for 15 to 20 minutes, or until fish is done. Carefully release steam from packet. Serve hot.